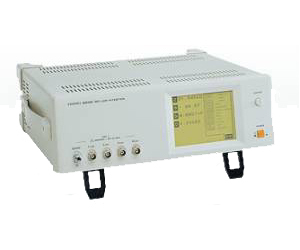 Impedance meter with a wide test frequency range. The measurement frequency can be freely adjusted with four-digit precision in a wide range from 42 Hz to 5 MHz. In particular, this makes it easy to test sample characteristics in the high frequency range. Operation is extremely simple; touch the item on the screen to be changed, and the possible settings appear in sequence.